Yvgenii challenges Phil to name 5 good things about New York, Phil brings up interesting science experiments, and the guys talk about long drives and camera woes. Yvgenii finds out what happens when you do the splits for the first time at 33. Phil misplaces an ink syringe needle. The guys discuss their mutual distaste for Origin and then get lost in the world of Boom Boom Sticks. Yvgenii finally admits he was wrong about something, Phil is sick, oddly making him sound better, computer problems pop up, and the guys talk about random censorship and comic book movies; but not at the same time. Phil heard some static so the guys ended up arguing over speed tests and getting lost in coffee. Also, the chinchilla makes a horrible return before Phil makes an admission that no one could see coming. Yvgenii had an interesting run in with the power supply on his computer, Phil can't work his way around proper grammar, and the guys discuss shocks to their system and coffee. Yvgenii shows up on time for a change and the guys talk about starting a Role Playing Game podcast. Phil reminisces about a past top tier app, and Yvgenii decompresses from an interesting two days and KVM installation on his desk. 31. What Won't PostMates Deliver? Michael joins us this week to run through some really messed up buying guides from PostMates, dad jokes also abound and new headwear is discussed. Needless to say, the censor beep got a good workout. This week, Phil is in his new office, the guys talk about Yvgenii's new "how to podcast video", and Phil breaks Yvgenii's brain when he has to explain the most basic of jokes. This week, the guys talk about how you can get free alcohol on cruises, Phil enlightens Yvgenii on some messed up theories from childhood T.V. shows, and they go off the rails on a tax proposal from Arizona. This week, the chinchilla makes a not so triumphant return, Phil talks about his trip to Philly, Yvgenii talks about YouTube's ever so great video prediction before offending Canadians, and the guys get off the rails talking about bag milk. Phil has internet issues, Yvgenii pretends to be elevator music, and the guys dive down the rabbit hole of corny jokes and random video games. Yvgenii switches microphones yet again, Phil comes up with a decent recording idea, and they talk about things that manage to break the brain through tech support hell before Phil convinces Yvii to do a silent YouTube video. Coffee is back as the guys talk about fancy toilets, audio mishaps, and Yvgenii is somehow shocked by Phil's choice in coffee grinders. This week, we cover coffee, WalMart, Secret Santa's, and whether or not fountain pen ink qualifies as hazmat. Phil also reminds Yvgenii of a rather embarrassing moment in his podcasting history. Phil rants on trilogies, Yvgenii ponders the meaning of coffee, and they contemplate what makes for good music and work their way through hammering out an Instagram live video. Yvgenii gets cranky about the iPad talk on all his favorite podcast, Phil gets his iPhone repair skills on, and Michael eavesdrops his way into the Inception Tattoo! There may have been a topic but we'll never know. Why? Because this week, the guys jump down the rabbit hole of moonshine, homemade hooch, and tequila. This week Yvgenii finds out that his hatred of snow is universal, a package comes in from China, Phil is doing more housework, and Deadpool is Pikachu? This week the guys do word association and get lost in a crazy comparison of end times. They also get caught up in Discord. Or is it that they get distracted? Let's go with distracted. This week Karma continues with her antics, Phil waxes philosophical about being a millionaire, and Yvgenii questions Phil's choice in vehicles. This week Phil completely breaks Yvgenii with Common Core Math, Times Newer Roman, and they somehow recover to talk drones, desks, and potential new hobbies. This week Phil goes fruit shopping, Yvii moves apartments, and his new apartment has 3 leakes, two of which moved in with him. This week Yvii temporarily lost his drone. Phil lost his mind on a Go-Live, and Windows tries to destroy a new laptop. This week, Phil makes the mistake of updating, SiriusXM goes on a stalking spree, and the podfort got a facelift. This week, the guys briefly discuss the latest Apple event before getting sidetracked on video games, podcast choices, and a brief interlude with Mad Max. This week, Phil takes on his disdain of Monopoly. Yvgenii plays Devil's advocate for debt, communism, and capitalism. They also try to remember old Canadian shows. This week, Phil and Yvii talk about their pets and how cats and dogs like to switch up roles. Phil also takes it to next level disgusting with his most recent home renovation. This week, Yvgenii talks about his website woes, Phil is disappointed,.and the show goes off the rails when Phil sends Yvgenii what is probably the best link shared thus far on the podcast. This week, the guys revisit sawdust, talk about horrible pronunciation, video games, and appropriate times to quit with day drinking. This week, Phil & Yvgenii talk about mail, Spectrum leaving New York, social media, and the birth of sawdust. Yvgenii also finds himself conflicted about moving. Phil worked on his house. Yvgenii was horrified by Phil's music choices, and had a spurt of productivity. 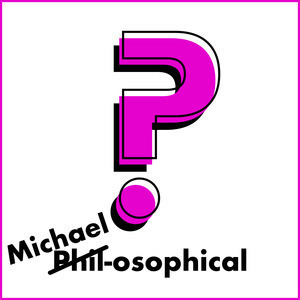 Logos were chosen and brains were broken, this week on Phil-osophical. 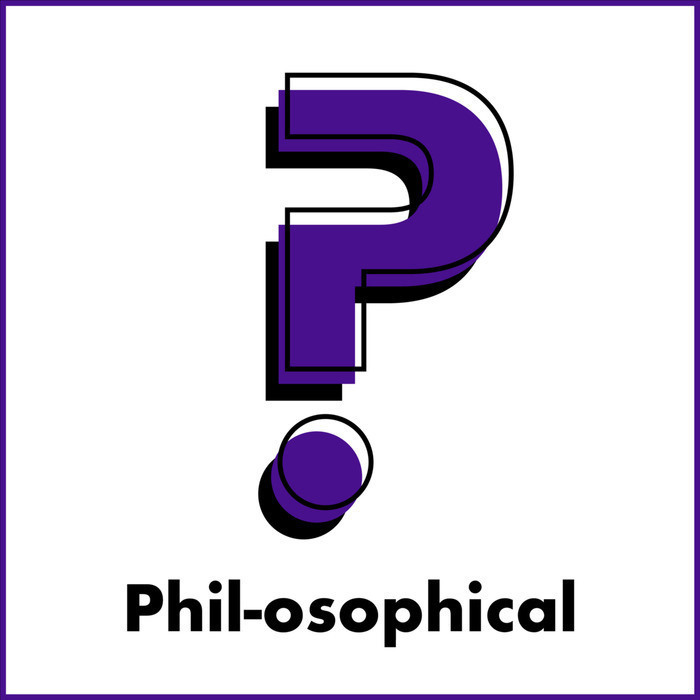 In this premier episode of Phil-osophical, Phil and Yvgenii try to find an overall premise for the show but end up sidetracked on Cruisin' USA and other random gaming nonsense.